This little book forms part of the ‘Edible Series’ published by Reaktion Books Ltd. Some other titles which caught my eye are ‘Cake’, ‘Chocolate’, ‘Ice cream’, ‘Pancake’ and of course, ‘Tea’. And let’s not forget the savoury related titles; ‘Caviar’, ‘Olive’, ‘Pie’, ‘Sandwich’ and ‘Spices’, for instance. As if that wasn’t enough – there are also beverage related titles such as ‘Champagne’, ‘Gin’, ‘Milk’, ‘Rum’ and Whiskey’. The list is endless. I want them ALL. Thankfully, £10.99 shouldn’t break the bank. Oddly enough, I loved the appearance of this series at a glance. I say oddly enough as the covers are the oddest pale yellow. But it works. It really works. Furthermore, the books are the perfect size. They’re rather narrow and long – an ideal size to carry around when you’re on the go, and perfect to read in fits and starts. Having said that, ‘Bread: A Global History’ is some 150 pages long. As a result, it surely does not lack detail. Rubel begins the piece with an exceptionally well written introduction. The reader, for instance, comes to realise that ‘bread’ is a concept, or rather, is an innovation of culture – and that consequently, the meaning of what is classified as ‘bread’ can change as the years roll by. The concept of ‘bread’ is therefore a noted cultural object and as a result, it means too many different things to too many people to be pinned down to any particular definition. It is in this light that ‘bread’ should be described by the anthropologist, rather than defined by the lexicographer. Maybe I’ve said too much. In brief, Rubel writes of bread both as a staple foodstuff as well as a cultural object. And it is the precise way in which he marries these two aspects that intrigues me. 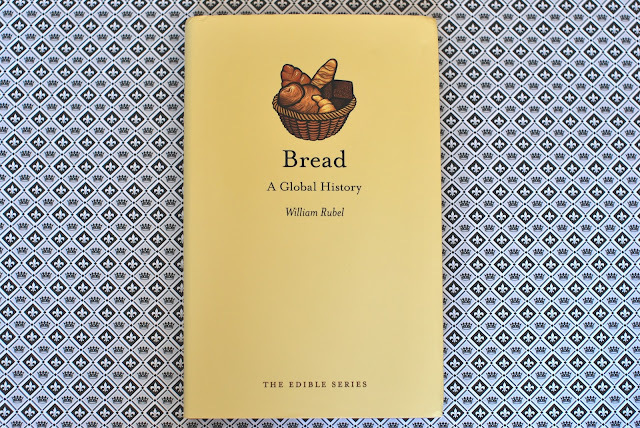 Finally, ‘Bread: A Global History’ includes a few recipes for one to make an array of bread types. I’m itching to try these out. After exams. After exams. Had you heard of the ‘Edible’ series? I’m so pleased that I came across them. I plan to treat myself to new titles every now and then. I hope you pick one up. You won’t be disappointed.